The former Admiral Wasantha Karannagoda has given a lengthy interview to The Island newspaper (November 21, 2015) rebutting any claim that there had been a secret detention facility within the Trincomalee naval base during Eelam war IV. The statement that naval facilities within Trincomalee base were used as torture chambers was made by the UN Working Group on Enforced or Involuntary Disappearances (WGEID) in Colombo at the end of a 10-day visit to Sri Lanka. He said that during the war renegade LTTE cadres had been accommodated at the Trinco facility which some interested parties now wanted to portray as a torture chamber. “We didn’t operate torture chambers at the Trinco base or any other command. There was no requirement to do so. A substantial number of LTTE dissidents had thrown their weight behind the combined military campaign directed at the LTTE, Karannagoda said, adding that the Navy had no option but to accommodate them in a previously unused building. We used British-time air raid shelters,” Karannagoda said, alleging that a despicable attempt was being made to bring the war winning military into disrepute. Karannagoda further alleged the ridiculous allegation directed at the Navy was obviously part of their strategy to hold the country responsible for alleged atrocities committed during the war. The retired Admiral expressed disappointment that some had conveniently forgotten the sacrifices made by the military to bring the LTTE to its knees. In other words Karannagoda says those who were housed in naval facilities were renegade LTTE cadres who owed allegiance to Karuna. If that is the case why they were kept in far away Trincomalee Naval base instead of army camps like Palaly or Panagoda? Not hundreds, but in thousands are missing after they were arrested by the armed forces, especially the military intelligence. Parents of the missing persons have been visiting one camp after another, one prison after another for years. Despite many commissions set up to trace the whereabouts of the missing persons there was little success. “Many of those who had been categorised as missing were living overseas. The recent Paris massacre revealed how borders could be accessed using various travel documents and exploiting ground situation. The country was being punished for eradicating terrorism. Whatever the propaganda the vast majority of Thamil speaking people were free to move on with their lives since May 2009” said Karannagoda. A Thamil website says following the information disclosed by International Truth and Justice Project (ITJP) a Police team under an ASP has commenced investigations and about 20 Naval personnel are likely to be arrested. So far the CID has recorded statements of 74 naval personnel in connection with the secret detention centres at Trincomalee Naval base. In August this year four army personnel were arrested by the CID in connection with the disappearance of journalist Prageeth Ekneligoda, police said. Police said two lieutenant colonels, a staff sergeant and a corporal were among the arrested. The WGEID drew attention to the secret cells after they were taken to the location by the Criminal Investigations Department (CID) at the end of a visit to Sri Lanka. In the past the existence of secret torture camps in Sri Lanka has been long reported by Thamil Civil Society and politicians in the North-East. Earlier this year Sri Lanka’s Prime Minister Ranil Wickremesinghe denied allegations of the existence of torture camps in Sri Lanka. The ITJP of which Yasmin Sooka is the Executive Director, said it has given the UN Working Group the GPS coordinates for the location of the secret cells in the camp (GPS: 8’33’26’13 N, 81’14’32’87 E) and the names of naval intelligence officers, whom witnesses say were in charge of the site. This information as well as detailed site sketches by survivors was shared by ITJP with WGEID in a confidential written submission before their visit to Sri Lanka. ITJP says it is prepared to release the names and ranks of 10 naval members, whom survivors state were involved in torture at this site, as well as the details of an officer and other guards present, who were fully aware of the torture that took place. On November 20, 2015 M.A. Sumanthiran, Thamil National Alliance (TNA) MP demanded answers from the authorities on the underground secret cells at the Trincomalee navy camp, in light of an admission by former navy Commander Admiral Wasantha Karannagoda that those cells were used to detain people. Sumanthiran questioned as to why people like Karannagoda are not being investigated over the cells. Sumanthiran quoted Karannagoda as telling the media that the cells were part of the British colonial era and was used when he was the Navy chief to detain suspects, but not torture them. Sumanthiran said that the authorities must investigate where those people detained at the cells are now and if they were tortured. In March this year Suresh Premachandran, MP (TNA) claimed he had witnesses that could testify to prove that there were secret detention centres in the North-East. Describing the torture cells and environment the survivor added, “I saw blood and people’s names who had been scratched into the walls with a sharp instrument. I could also hear men crying and screaming. To me it sounded like they were being tortured. I would hear the screams and crying every other day.” His statement corroborates with the findings of the UN WGEID. Any credible investigation into the Trincomalee secret cells will most likely have to include the key military figure Lt Commander Welegedara who is widely known to have run the secret detention operations in the Trincomalee naval dockyard. Six years after the government of Sri Lanka declared an end to decades of civil conflict with the LTTE; thousands of people are still missing, according to the UN and Sri Lankan human rights activists. The WGEID of the UN Office for the High Commissioner for Human Rights has recorded 5,671 reported cases of wartime-related disappearance in Sri Lanka, not counting people who went missing in the final stages of fighting from 2008 to 2009. This figure obviously includes those who left Vanni between 2008 and May, 2009 on their own accord, injured people shipped by ICRC to Trincomalee etc. As stated by the Darusman UN Experts Panel appointed by UN Secretary General the number of people who died during the last phase of the war is estimated between 40,000 – 70.000. This figure is nearer to the truth than the figure 146,679 which is the difference between 429,059 – 282,380. Of course, this is a far cry from the preposterous claim by the government there was ‘zero casualty’ during the war. In 2009, the US Department of State in its unclassified Report to Congress on Incidents during the Recent Conflict in Sri Lanka stated: ‘The State Department has not received casualty estimates covering the entire reporting period from January to May 2009. However, one organization, which did not differentiate between civilians and LTTE cadres, recorded 6,710 people killed and 15,102 people injured between January 20 to April 20.2009. These numbers were presented with a caveat, supported by other sources, that the numbers actually killed and injured are probably higher. Sri Lanka under Mahinda Rajapakse is one of the worst violator of fundamental human rights and humanitarian law governing conduct of war. Not only LTTE leaders were killed when they surrendered to the army with white flags in the battle field, hundreds of others were killed after they surrendered to the army. On 18th May 2009, a large number of witnesses saw more than a hundred LTTE military and civilian administration leaders surrender to the Sri Lankan army close to the Vadduvaakal Bridge. The vast majority of these people have subsequently disappeared and, according to eyewitnesses, were last seen in the custody of the Sri Lankan military. Those who surrendered on 18 May were screened and mostly put in a barbed wire holding area just south of the Vadduvaakal Bridge, which was in the control of the Sri Lankan armed forces. Many surrendered with an elderly Catholic Priest, Father Francis Joseph, who recorded the names of surrendees in a list for the military. Many eyewitnesses saw these prisoners, and in some cases their family members, loaded on to buses and taken away by the military. They and the priest have not been seen since being taken custody of by the military. Here is a partial list of those LTTE cadres who surrendered to the armed forces on May 18, 2009 but their whereabouts unknown. (2) V. Ilankumaran (alias Baby Subramanian) Head of the Thamil Eelam Education Department. His wife Vettrichchelvi and daughter Arivu Mathy. The above list is by no means complete. Yasmin Sooka on behalf of the ITJP released a list of 110 disappeared people seen surrendering to the Sri Lankan armed forces by eye witnesses on May 18, 2009. The press release said “The ITJP wishes the family members and relatives of the surrendees to know that there are eyewitnesses to the surrender of their loved ones to the military on May 18, 2009. On May 31, 2009, Lankafirst.com website quoting Government Information Department sources, reported that some top Tiger leaders under the custody of the military were going through series of serious investigation by the security forces. 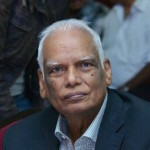 “Former eastern province political wing leader and subsequently in charge of the economic division Karikalan, former spokesman of the LTTE Yogaratnam Yogi, former EROS MP turned advisor to the LTTE V. Balakumar, a former spokesman of the LTTE Lawrence Thilakar, former Deputy political section leader Thangkan, former head of the political section for Jaffna district Ilamparithi, former Trincomalee political wing leader Elilan, former head of the LTTE Sports Department Paappa, former head of the administrative division of the LTTE Puvannan and deputy international head Gnanam are in custody,” it said. There is mounting evidence to show secret cells existed at least till end of 2011at the Trincomalee Naval base. The government must investigate thoroughly those disappeared after taken into custody, including those at Vadduvaakal, by the armed forces during the dark era of Mahinda Rajapaksa’s dictatorial regime. Notwithstanding denial by former Admiral Wasantha Karannagoda and Prime Minister Ranil Wickremesinghe thousands of missing persons could not have vanished into thin air. “Notwithstanding denial by former Admiral Wasantha Karannagoda and Prime Minister Ranil Wickremesinghe thousands of missing persons could not have vanished into thin air.” I have witnesses who are prepared to testify in any international court how blatant liars they are about the disappeared. I know a mother who had absolutely no part in any LTTE related activities and who was not in Vanni was whitevanned in broad daylight infront of witnesses in 2011 in Vavuniya, by probably armed forces from Anuradhapura.The crime she committed was that she was the mother-in-law of a Tamil inmate in Anuradhapuram prison who was arrested well before the Vanni massacre on suspicion and was later released. The mother has vanished without a trace. Her son will testify in any courts that has the crediblity to hear such evidence.The son has sleepless nights and suffers from terrible nightmares. There are other sufferers that I know of whose blood relatives have been made to disappear within the past twenty years or so with no closure in sight.They desperately want to know the truth as to what has happened to their loved ones. Will you be able to help as the UN mechanism is grossly inadequate as the ivestigation is only a domestic process falls within the prejudiced and compromised Sri Lankan judicial system? Clearly Karanagoda bears command responsibility to answer for what happened in premises under his control. He admits that the surrendered cadres were kept in the facility. Keeping them in confined in large numbers in disused old buildings may by itself amount to torture but there seems to be further evidence of torture that is available. There is a long list of names that are available and the whereabouts of these persons are not known. It is necessary that answers to the questions as to what happened to these men are given by those who alone could have and do know. Do you know any witnesses that absolutely knew missing were ltte terrorists? For some reason all witnesses we have only know about missing non terrorists! What do you think happened to the ltte terrorists? Did they vanished into thin air or still living somewhere and reorganizing the terror reign? SSS, David Blacker, how many more days would you want to stay masked ? Is it not the right time you to be open ? You behave as if you a pensiless boy why ? Once upon a time, you belong to lanken forces ? If liberation tigers are to reorganize you should be more selective in choosing your fighters. According to the above list and Sookas “110 list” none appear to have been fighting but they were surrendering! That is not the way to fight for your rights! Do you know any Tigers who were fighting and killed? Why don’t we obtain the support of the governments of Canada, England, United States, Germany, France, Scandinavia, Australia and conduct a careful survey of the number of Tamils and other Sri Lankans living in those countries, simultaneously do a very careful analysis of the number of Tamils, Muslims and Sinhalese who lived in those sensitive Districts and draw-up a list? If the Tamils continue to say that there is a cause of concern, then there will be and another blood-bath will come. Is that what we all want? Look at the options we have”: either give My3/RW time OR let the Southern Extremists come back to power. They will not care for the U.N, or Samantha Power or anyone. The terrorists were all killed in the war by the Sri Lankan military. In addition the military also slaughtered about 40000 innocent civilians. If the government took into custody, ltte terrorists, then they have to answer for it. Either they have killed them or are still keeping them in unknown hideouts. What about Karuna and Pillayan? Are they not terrorists? Why is the government protecting them? When I saw the headline I thought ‘here comes the list of 40 000 of those so called disappeared but alas! it has only 41.I am sure many whose names mentioned in this list are somewhere in Europe or Americas and that’s why those countries refuse to release the names of those allowed to settle in their countries. Gamam, Not only Pillaiyan,Karuna anad KP Daya master,george master,Thamalini and many others are now protected by the government as they have renounced violence and you can do the same and get government protection!!! what is new in Sri Lankan authorities denial? They denied No Fire Zone as a fake. Now there is a first admission that some of the footage in No Fire Zone may be true. your partial list appear to be interesting. I feel they took the Cyanide capsule. Do the bodies of people who bite cyanide capsules vanish into thin air? The short list given above as well as the 110 missing people listed by Yasmin Sooka of the International Truth and Justice Project (ITJP) are mostly LTTE surrendees. Only a few like Balakumar and his son, Lawrance Thilakar and poet Rathnathurai are non-combatants. Admiral Karannagoda, Army Commander Sarath Fonseka and other Commanders who led the several army divisions during the final phase of the civil war must know the fate of the missing LTTE cadres. They may be terrorists in the eyes of Sinhalese chauvinists, but it is against the rules of war to summarily execute enemy combatants taken into custody after surrender. Admiral Karannagoda cannot dismiss off- hand by claiming the surrendees have left the country and gone overseas. That is an inept and nonsensical explanation. The surrendees must have been put to death on the orders of then Defence Secretary Gotabhaya Rajapaksa to the divisional commanders. These cadres were taken in buses witnessed by their spouses, relations and civilians. Ananthi and several other spouses have given eye witness evidence to the various Commissions set up by the government as well to foreign media like BBC. There is unconfirmed news that Lawrance Thilakar was put to death by placing him inside a cement mixing machine. This would fit Karannagoda like a glove! What is clear from this articl and all other whining I have heard is the number of missing 40,000 is bogus. It would be a worthwhile exercise for NPC or some other NGO to make a list of all the missing people , then we can see how many are actually missing. I bet the number will be less than 10,000 and at least 5,000 of them would be LTTE. The resin no Tamil organization is making an attempt to document the missing is because they know the number I’d less than 10,000. A few years ago MR/Gota promised to release a detailed list of those who surrendered to the armed forces. If anyone is interested in getting justice,first they must make sure that the injustices their claims of injustice suffered are honest and stright forward. Once that is established they will see clearly who the accused really are and getting justice will be much easier than than present impasse. Hell is empty and all the Devils are here. Shakespeare-Tempest. This would fit Beast Emmanuel like a glove! Rohan.R… do not mess around with the missing as we shall not permit any Western nation to release identities of those who has sought refuge there. The beast Emmanuel is coming let play football. You kick, I kick, with no own goals. 40,000 killed ! Or not accounted for. Surely we can determine who they were by name, address, family, and other details. Surely we can do this. I don’t understand why the GOSL not start this process. The Tamils (mostly the die-hard eelamists) say 40000 ! The Sinhala say nothing like that is possible. So it is upto the GOSL, UN and Sam Power, Kerry, ourMangala and all to really get to the bottom of this. Otherwise, we will stew in this for a few more generations, with hatred and doubt. NAMAK, The 40000 you killed are not terrorists. You or anyone else didn’t take down their names. Pillayan, Karuna, KP and Daya master were they tried in a court where they declared they renounced violence and sought pardon for their crimes. THE DISAPPEARED….solving this issue will be an extremely lengthy exercise. It has long been known that the 1983 riots were instigated in order to both gather support for the LTTE as well as to internationalize the conflict. The Tamil exodus started then, and at the time legitimacy for emigration to the West especially was accepted as being due to ‘discrimination’ without much understanding of the economic implications of such emigration. Today, that ‘conomic factor’is more transparent and better understood as well as accepted. With that transparency however came other complications as Terrorism expanded in the international context. Fake passports, destruction of passports to ensure refugee status, the adoption of false identities and such duplicitous and fraudulent activities became rampant. SO…today we have people emerging who were long thought to be dead in the war, and that trend will continue as birth records and other identity factors become more searchable and their authenticity established or rejected more accurately. But as afar as Sri Lanka’s 40,000 which ballooned out of some 7,000 are concerned,it unravels as an interesting phenomenon, and the day will come when it will be established that many of these ‘disappearances’ were not at the hands on the Defense Forces, but voluntary and economic, as well as being an integral part of LTTE strategy, based on political goals and motivations. Navy Commander Karannagoda and others who were engaged intimately in the war must know of all the ruses that Tamils and some Sinhalese as well used to escape and get away from the island and blend into the international Diaspora. Now the only way the present Government of Sri Lanka would escape the responsibility and accountability for the thousands of our young men and women whom they tortured in the Trincomalee torture camps and other camps is to believe the flagrant lies and denials of army leaders now retired, and this present. The present Government of Sri Lanka is still in hot seats of the former injustice and oppressive leader, Rajapakse. The new government rulers are all Sinhalese and they are the same as of the past and the Sinhala psyche will is hellishly in the depth of anti-Tamil policy. Therefore, let all the Tamils in North, East and other of Sri Lanka and the Diaspora Tamils and their friends raise their voices against the injustice and oppression even by the present Government of Sri Lanka. Let us continue our struggle. Another Emmanuel clone creeps out of the woodwork with claims of thousands tortured. You should drop the Rev. bit in front.